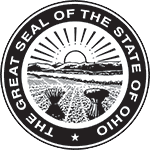 Are you interested in purchasing a home in Ohio through a seller-financed Land Contract? Finding such a property can be a bit difficult, as just 9% of all real estate transactions are done FSBO and only a small percentage of those homes are transacted through a contract for deed. But there are resources available to help you find Ohio Land Contract homes. Obviously, most homes sales completed in the state of Ohio are done using a traditional bank mortgage loan. That type of financing structure is the preferred way to sell a property through the real estate agent system; agents love mortgage sales because it’s the easiest way for the realtor to get paid. It’s rare to find a Land Contract home offered by a realtor; most Land Contract homes are sold FSBO (For Sale by Owner). It takes a bit more work on a Seller’s part to offer a home For Sale by Owner, and a little more effort still to provide the Buyer with seller-financing. But the financial benefits to the Seller can be significant and worthwhile, which is why a consistent part of the real estate market is open to Land Contract transactions. A Buyer simply needs to know where to look, what to look for, and what question to ask — even if a Seller hasn’t said that a Land Contract is an option. First, look on the major real estate websites and search for phrases like Owner Will Carry (OWC) or Seller-Financing Available. Both of those statements indicate that a Seller is open to the Land Contract financing option. Zillow and Trulia are good places to start. The Ohio portion of Craigslist is a good source to easily find Ohio Land Contract homes, too. There are also FSBO websites out there like fsbo.com, ForSalebyOwner.com and Owners.com that are even more targeted to Land Contract offerings. But nothing says a Buyer must limit his or her interest to homes already listed as available by Land Contract. Once a Buyer finds a property that he or she likes, ask if a Land Contract option is available — even if its not listed by the Seller as such! Don’t be shy; just ask! When a Seller is truly motivated, options that get the property sold are all on the table, even if they haven’t been considered previously. The Buyer can even recommend a third-party contract and financial services company like RealtyPact to make the option more agreeable to the Seller.